Come to the land of the blues, hear it, experience a bit of its history, feel the mystery born out of its extremes, draw from the creative spirit so rich and full here, brought to completeness in the heat and hardness that was once…the Delta. Coming out of Memphis, I sit in the backseat of Dad’s 1960 Ford Fairlane with the glass rolled down, leaning into the opening, arms folded on the window, chin resting on them. The hot wind hits my face and whips my hair. We have been to the zoo, then shopped a bit in Whitehaven. Mama always picks up a bag of that orange marshmallow peanut candy when we go to a five and dime. I got one of those new rubber coin ovals with a slit down its middle that opens for accepting change when you squeeze it in your palm. 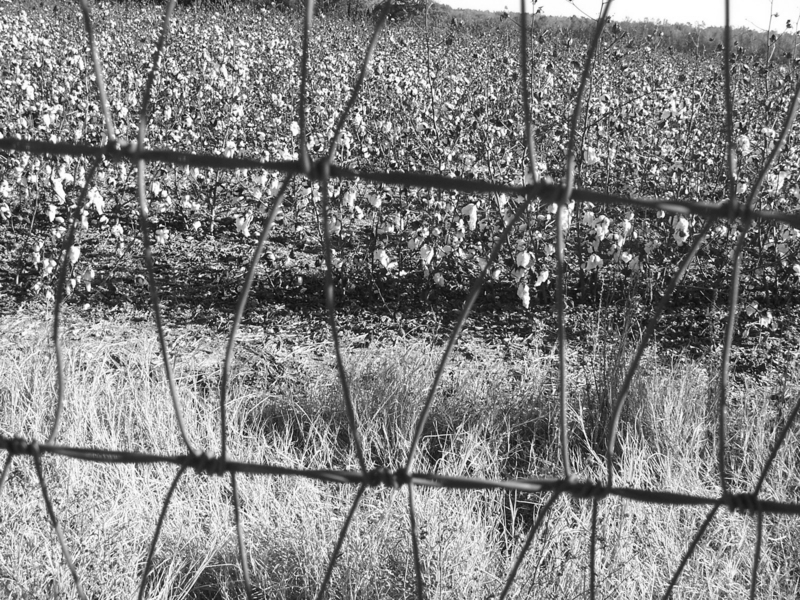 All of a sudden, from the top of a shady ridge, the road goes down—straight down into unending flatness and cotton fields. The last hill always causes a stir in my soul, a thumping in my chest, a funny feeling in my stomach. It is like Almighty God started digging here and scooped out a big basin of rich land so farmers can plant cotton and kids can grow up looking at it. Highway 61 cuts through the Delta—two lanes, straight-as-an-arrow, with just enough room for two cars to pass, one going south, one going north. The whole earth outside my window is cotton. Row after row, pressed against the road, running out to the end of the sky. Nothing but cotton as far as I can see. I smell the dirt, I smell the green, I feel the hum of growing things. I think it is mine, all mine—I was born of it, steeped in it. When it is cotton pickin time, I know that God is on his throne and all is right with the world. Weatherbeaten cypress shotgun shacks sit just off the highway, squeezed in between crop rows, careful not to take too much space away from the cotton. The houses are one-room wide, two, maybe three rooms long, with tar paper to cover cracks in the boards. If we don’t go too fast, I can see straight through the front door and out the back. Every house has a front porch with an old ripped-up couch on it where people sit stirring a breeze with cardboard funeral home fans. Every porch has a galvanized tin tub hanging by the front door for taking a bath in, and every yard has a pump for water and an outhouse in the back. The yards are broom-swept, baked hard, and full of children rolling old tires or bouncing balls or watching cars go by. I see skinny dogs with their ribs showing and stacks of firewood and pink rose vines winding around wire fences and yellow cannas coming out of old tractor tires splashed with white paint. I see drooping clotheslines with big-cupped bras and blue work denims. Come to the Delta … sharpen your writing tools, let the spirit of this place strike your soul, work, write, read, listen, in the heat draw from the riches of this place, tap the creative spring here. All I wanted was peace. I moved to a brand new home six months ago. New, because I didn’t want to have to change carpets and flooring and paint an older house. I paid more than I really wanted in order to get NEW. I wanted – I needed – to move in and live a quiet life. My house is my office, too. I wanted to move in and do the job I love. I wanted to move in and move forward with my own personal writing. What are the odds? Out of 1700 homes my builder has constructed, I am one of two that had some type of leak that caused damage and disruption. 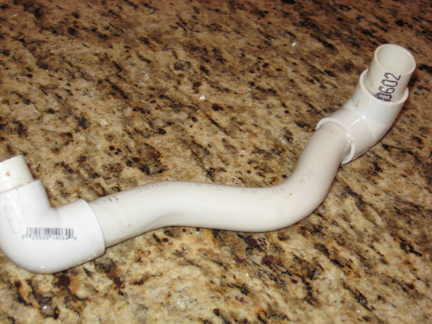 My leak was the result of negligence of Franklin’s C&M Heating and Cooling, who installed a faulty condensation pipe – out-of-round from the factory, not sealed well by the installer, and not tested to make sure all worked well. So for 41 days, I had to replace flooring and refinish flooring and replace drywall and paint drywall. I had no kitchen for several days – had to eat meals out. I had no office for a while – had to make do. Now, all the repair work is done, and I’m getting my house back in order, and I should be at peace. After the fury of the storm, there should be peace. I did. I didn’t ask for much. I’d put a coffee pot in my bathroom (yes, bathroom!) and ate dry granola so I wouldn’t have to eat breakfast out. I missed some lunches or ate an apple. A friend bought a few meals out for me, and I drove to Memphis to have some normalcy at my sister’s house over one weekend. I didn’t try to take Cincinnati Insurance for a ride. So. Their negligence caused me to have to eat out several times, and they need my 2010 and 2011 tax returns with personal information, along with the amount I have earned in 2012, in order to be able to pay $95. I had to provide this information to buy this house six months ago. A whole house, a few hundred thousand dollars. So. Because of their negligence, I could not work in my office for 31 hours during the last month. I made do for much of that time. I’m organized, I plan, I prepare. I worked all of Memorial Day weekend to complete one job with a deadline, and I dragged three other people with me in order to get the work done. So now, they want my 2010, 2011, and 2012 to-date tax information in order to reimburse me for some of the time I missed work, because they can’t take my word for it, and I understand that, but there are other ways to get the information they need. They’ve already cost me 31 hours. Now they want me to take an additional two or three to dig out and make copies of returns. I guess I’m ignorant, but I can’t for the life of me figure out how my 2010 taxes will help them confirm exactly how many hours of work I missed in May of 2012. Why do they need my bank account numbers, my social security number, my income, my expenses, my medical and health insurance information – what bearing does this have on 41 days in 2012? I am not their client. They are not entitled to my private information. I am the victim. Peace is not to be. C&M through Cincinnati Insurance is still disrupting my life, hindering me from work, making demands and unethical requests, stifling my creativity, pushing for personal and private information, wasting my time, harassing me, all for a very small amount of money. Damn. All I want is peace and to have what I would’ve had if the leak hadn’t happened.